Sea Fishing Seasons – When is Best? The following is a brief overview of a typical years fishing aboard the western flyer so that depending upon the month you book, you have a good idea of what to expect. March and April: On the whole these months early on in the year tend to be a little `hit and miss`. There can be some fine, flat calm sunny days in these months and when the water visibility is good, then Herring are caught on the flood on small tides at. Thornbacks, Whiting and Dabs can be found, Mochras spit plenty some days, poor others, and the reef fishing is a little slow, but some Pollack & Codling can sometimes be found. 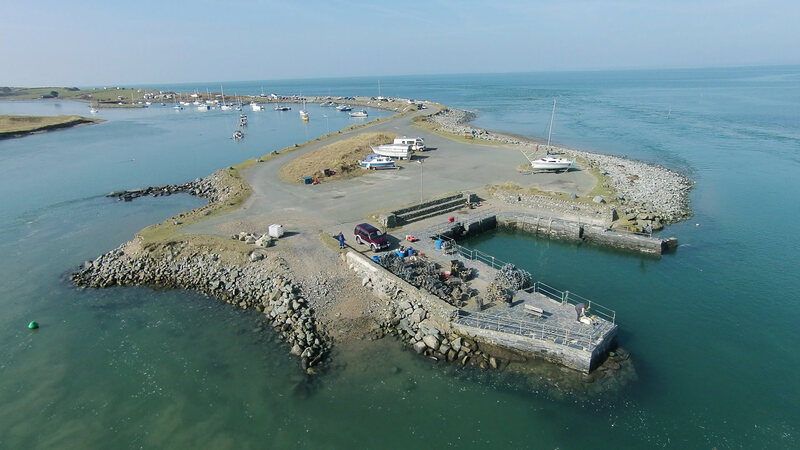 During April the fishing `picks up` with more plentiful catches of Herring, Whiting and Dabs, st Patrick’s causeway can produce some cracking sport, and the inshore reef / east passage continue to produce some nice bass /codling /pollock, when the weather permits. May and June: Now the fishing begins to come into its own, some fantastic sport can be enjoyed on the reef at certain states of the tide, for Herring, Pollack, Mackerel,bream, dogfish, Codling and a few Bass. Fishing with Hokkai`s and Shrimp rigs, a mixture of these fish can be caught on the same cast!. Gurnards and Tope also start to show, and in June the mackerel arrive in large quantities! !